As an anti-stress mineral, Magnezim Plus is important to the function of every organ in the body. If the body is low in Magnesium, it is forced to take it from the muscles which can result in painful cramps, strains and spasms. 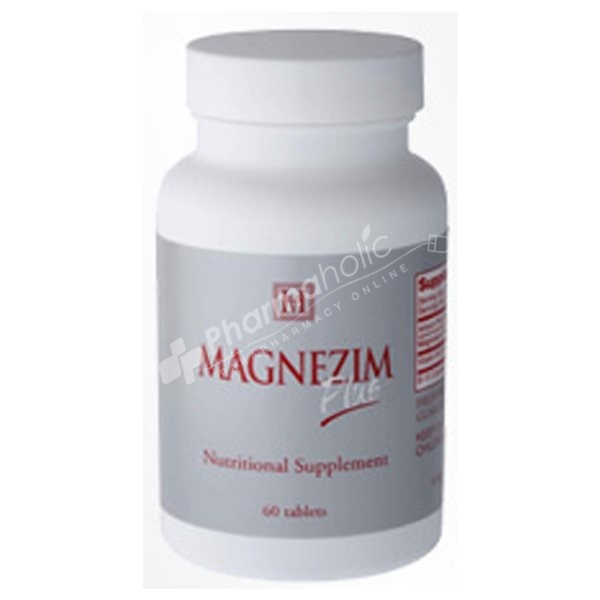 Increase your health, strength your body, with a powerful formula of Magnezim Plus. As an anti-stress mineral, Magnezim Plus is important to the function of every organ in the body. If the body is low in Magnesium, it is forced to take it from the muscles which can result in painful cramps, strains and spasms. Magnezim Plus is an effective supplement created to aid the body to overcome the deficiency of Magnesium. This unique formula is very important to women who are pregnant, and to ones that experience menopause or are at risk for Osteoporosis. Therefore, this product is highly required to regulate the Carbohydrate metabolism, improve the PMS Syndrome, Fibromyalgia and Fibrocystic Breast Changes Symptoms. No sugar - No starch - No animal testing.